Stellar Drive Clone is a Complete Mac Hard Drive Cloning utility that clones and creates a disk image of the Mac hard drive, Solid State Drives, Partitions and External Hard Drives. This Mac cloning tool supports HFS-to-HFS, FAT-to-FAT and NTFS-to-EXFAT cloning. *Free Download enables you to evaluate features such as Cloning, Imaging, Restore, etc. This Mac clone hard drive software smoothly clones Macintosh HD, Recovery HD and Local Volumes to another destination like a hard drive, network drive, volume, or a folder. The created clone is an exact copy of your Mac’s hard drive and it can serve as a backup in situations of crisis such as a system crash, hard drive damage, data loss or inaccessibility, etc. This Mac Disk Cloning tool faciliatest cloning of the entire hard disk drive to another drive and specific partitions or volumes to another partitions, network volumes and hard drives. The software can be used to clone Mac Hard Drives to SSD and vice versa. SSDs or Solid State Drives have a faster performance than a magnetic platter-based drives and are less prone to damage. Thus, it is worthwhile to clone your Mac hard drive to an SSD. Also, although SSDs are robust, they can also be susceptible to damage in rare situations. Thus, you may sometimes need to clone your SSDs to Mac hard drive. This tool can help you perform both these tasks with a few clicks. While a clone creates a replica of your hard drive, a disk image creates a type of snapshot of your hard drive ignoring any bad sectors and unused file space on it. Thus, if you experience missing data scenarios on your system and suspect that bad sectors are developing on your Mac, then image your Mac hard drive using this software to preserve the good sectors before they also get damaged. The image file (DMG) is stored on the hard drive and can be used to access lost or inaccessible data. This useful utility helps you back up your Mac hard drive smoothly and efficiently. All you have to do is simply select the folders or files from any partition on the hard drive and then back them up. The software even lets you set periodic schedules to back up your Mac hard drive, be it daily, weekly, or monthly. Just set the dates and the software will run the backup process automatically. What’s more, you can also back up removable media through it. The ‘Restore’ feature of this cloning application helps you restore Mac hard drive or HFS volumes to their original state. It copies all data stored within the hard disk drive clone or disk image file (.DMG) faster than you can do manually and also eliminates the chances of human error. You need to select the cloned folder or disk image file from the source path and provide a destination to which the software will restore your valuable data. Mac HD clone software supports cloning for HFS, HFS+, FAT, as well as ExFAT based drives and volumes. Not only hard drives, but it also lets you clone ExFAT format flash drives too. Also, this tool can perform cloning for any NTFS formatted drive to ExFAT formatted drive in Mac OSX, and it can clone BootCamp partition too. It gives you the advantage of cloning hard disks formatted with MBR (Master Boot Record) partition map scheme which is native to DOS and Windows disks and memory cards. Once the hard drive cloning is completed, and the drive on which the clone has been saved (destination drive) has extra storage space, this space becomes useless and cannot save any new data. 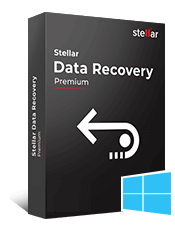 Stellar Drive Clone software provides a solution to this problem by offering to resize destination drive volumes so that all the space on the drive can be utilized. With this intuitive software, you can select a number of process completion tasks as per preference. For example, you can set custom tones to signal end-task activities of Mac hard drive imaging or cloning, or you can set the system to sleep or shut down once the cloning process finishes. You can also check for Stellar Drive Clone updates on a scheduled day. In case your Mac is unable to run with full features due to technical faults, you can use this software to create an alternative system that would work as a real system. 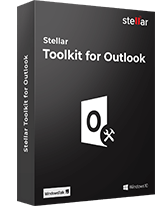 This alternate system operates with just the necessary files, which usually include Apple's default applications, all the files or folders on the desktop, and any specific applications selected by you. Here, it is important to note that booting from a minimal system is faster than the Bootable Media. 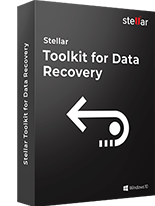 Try Stellar Drive Clone for Cloning, Imaging & Restore from Image, Backup etc. How much time does the software take to clone Mac hard drive? 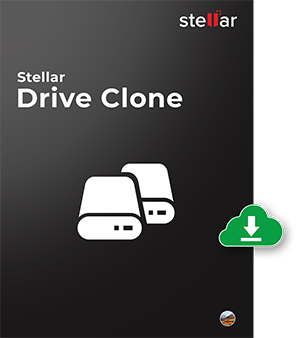 Stellar Drive Clone performs cloning of drives and volumes that are formatted with HFS, HFS+, FAT, and exFAT. The software can also clone an NTFS-formatted drive to exFAT drive. If your source drive has an HFS+ partition, FAT partition, and NTFS partition, this cloning tool will copy all data from your FAT and HFS+ partitions to the destination drive with similar partitions and clone the NTFS partition into an exFAT partition on this drive. The cloned copy of the hard drive will contain data in all the three partitions. 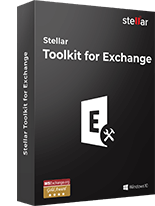 Note: Stellar Drive Clone utility clones Windows BootCamp partition to ExFAT partition. Read: How to clone Macintosh HD and BootCamp partition to another drive? I have created a bootable USB on a system having an Intel processor. Can I use this bootable media to boot a PowerPC - based machine? No, the bootable media created using this cloning software can only be used to boot the same or identical system on which it is created. If you created a bootable media on an Intel machine, it cannot be used on a machine having a PowerPC processor. Can I clone Mac partition to a network drive using this software? Yes, the software can easily clone any particular volume (partition) of your system to a connected network drive using the 'Clone volume to a network drive' option in the 'Clone' window. My source drive is having two partitions and the destination drive is larger than my source drive. Can I choose to have just two partitions on the destination drive while cloning my hard drive? Yes, the software clones hard drives by providing you an option to resize volumes on the destination drive. You can increase the size of the volumes on destination drive to have just two partitions. What are the end-task preferences I can set in Stellar Drive Clone and how do I proceed with it? You can set preferences to 'play sound', 'send system to sleep' and 'shut down system', once the hard drive imaging/cloning process gets finished. You can also set the preferences to check for the latest Drive Clone software updates, as per the selected option (Daily, Weekly, and Monthly). One of the volumes in my Mac has NTFS file system. Can I clone the data using Can Stellar Drive Clone? Yes. You can clone the data of any NTFS formatted volume. However, the cloned volume will be saved as exFAT file system. Is software available for Power PC users? The software does not support Power PC any longer. Yes. Stellar Drive Clone software takes a full backup of NTFS formatted Windows BootCamp partition. It clones NTFS partition to EXFAT file-system. How to Clone Macintosh HD and Backup BootCamp Partition to Another Drive? 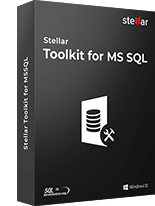 Stellar SpeedUp Mac frees up disk space and enhance system performance by removing unwanted files, d..
Stellar Partition Manager that allows you to perform basic partitioning operations, such as creating..